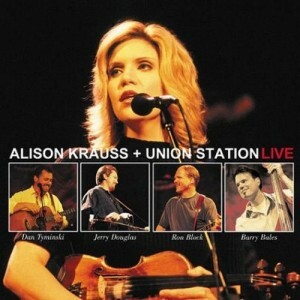 Live is a live album by Alison Krauss & Union Station. It was recorded at The Louisville Palace in Louisville, Kentucky on April 29th and 30th, 2002 and released in November 2002. One song, Down to the River to Pray was recorded at Austin City Limits in 2002. This album is included in the poll to find the best country and country rock live albums. This entry was posted in 2000s Live Albums, Country Live Albums and tagged 2000s Country, 2002 live albums by Paul Simister. Bookmark the permalink.